Sen. Mazie K. Hirono visited Hawai‘i Island communities affected by ongoing volcanic activity during a visit to Puna on Monday, July 2, 2018. Sen. Hirono met with affected residents, volunteers and business owners in visits to the Federal Emergency Management Agency (FEMA) Disaster Recovery Center, World Central Kitchen, Pāhoa Community Center, Sacred Heart Church/Hope Services and a meeting with floriculture growers. 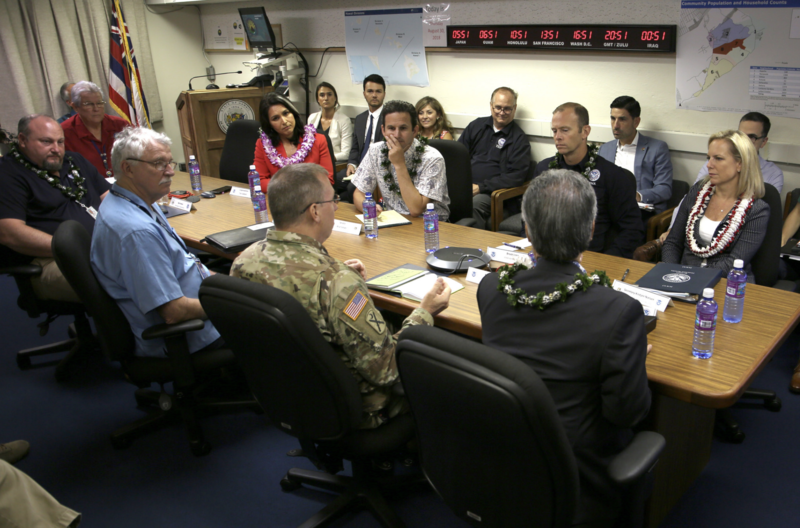 During her visit to the FEMA Disaster Recovery Center, Sen. Hirono met with representatives from several federal, state, and local agencies who are in Puna to assist affected residents. She also met with members of AmeriCorps’ FEMA Corps who are helping connect residents with resources available to them. 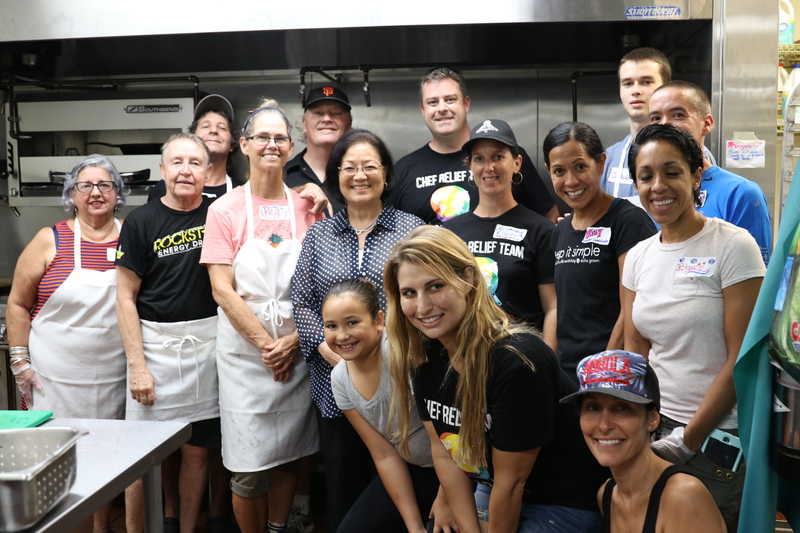 Sen. Hirono visited volunteers at World Central Kitchen’s facility in Pāhoa, where volunteers are cooking and serving thousands of meals to residents affected by the ongoing Kīlauea eruption. Sen. Mazie Hirono visits the Global Kitchen set-up in Pāhoa. 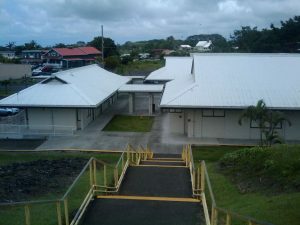 Sen. Hirono also visited the newly-constructed 20-home community at Sacred Heart Church that will provide shelter to seniors and families with young children. During her visit, she met with Brandee Menino – the CEO of Hope Services – and Gilbert Aguinaldo – a local business owner – who were instrumental in the success of the project. In a meeting with local floriculture growers, Sen. Hirono discussed the ongoing challenges the eruption poses to regional agriculture, and discussed the potential impact of her recent amendment to the Farm Bill – which would provide additional assistance to agricultural producers affected by the eruption. Sen. Hirono also visited with evacuees at the temporary shelter at the Pāhoa Community Center. Since the eruption began, Sen. Hirono has been a persistent advocate for affected residents. 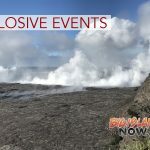 Last week, Sen. Hirono led Hawai‘i’s Congressional Delegation in asking the U.S. Department of Agriculture to provide the maximum assistance possible to local farmers impacted by the eruption. 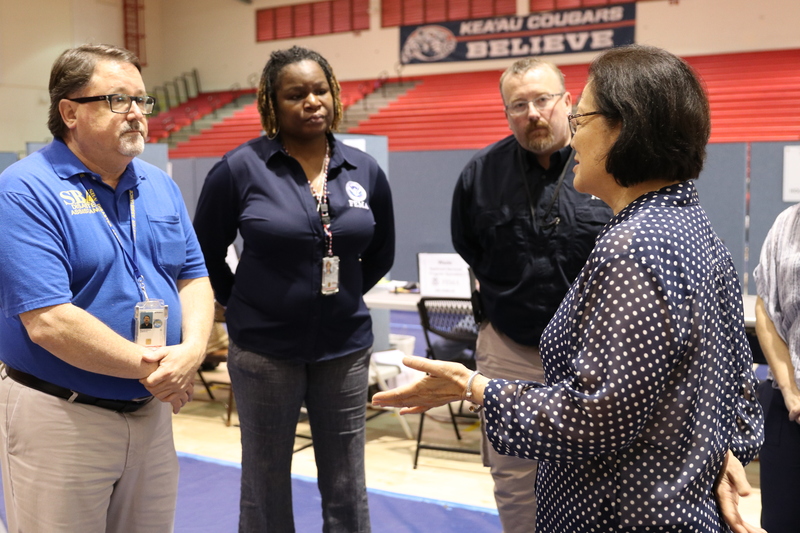 Sen. Hirono published resources and information from government agencies on her website for Hawaii residents affected by recent natural disasters. This page includes instructions for replacing important documents and updated information on federal services in impacted communities. 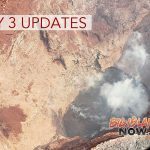 Last month, the U.S. Senate unanimously passed Senator Hirono’s bill to strengthen volcano monitoring centers like the Hawaiian Volcano Observatory.